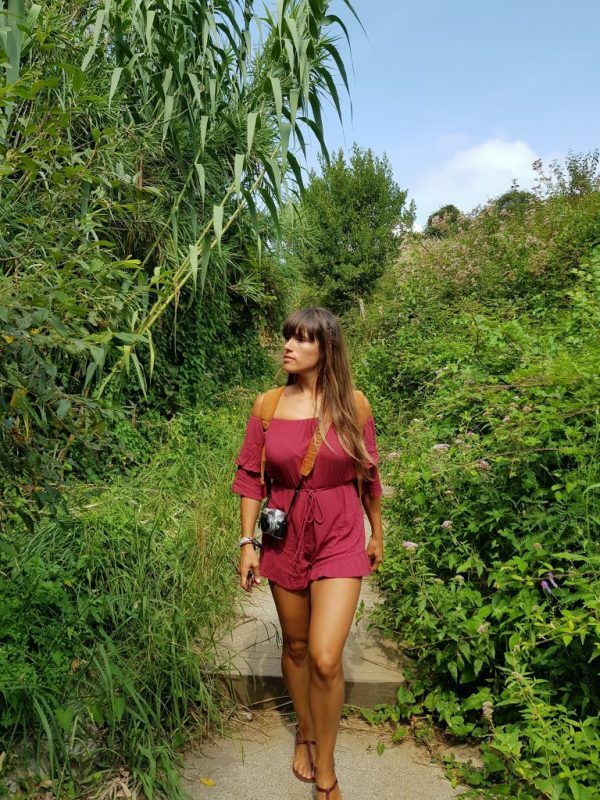 Zarautz Surf Village | Wander-lust at Zarautz Surf Village. 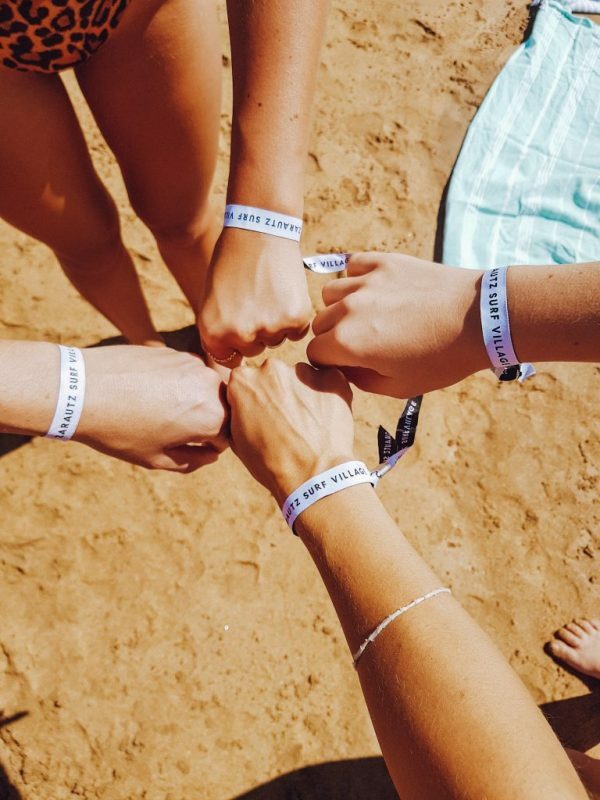 Once you have experienced the surf culture, you will be hooked. Whether you’ve tried it in Bali, Australia, Portugal, France or Spain, surfing is something we highly recommend. 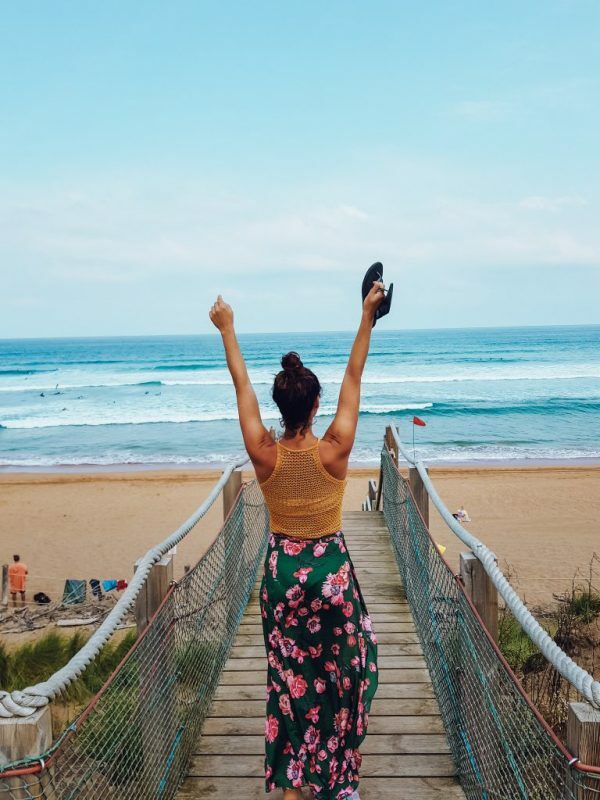 There are many surfing spots around the world, but if you’re a first timer, we have a wonderful tip for you; Zarautz Surf Village. Zarautz is located between the 2 Spanish cities Bilbao and San Sebastian. It’s surfing culture started a long time ago, and it’s one of the best European surf locations, with several surfing competitions held yearly. Zarautz beach is long stretched and very wide, so also very popular for sunbathing. 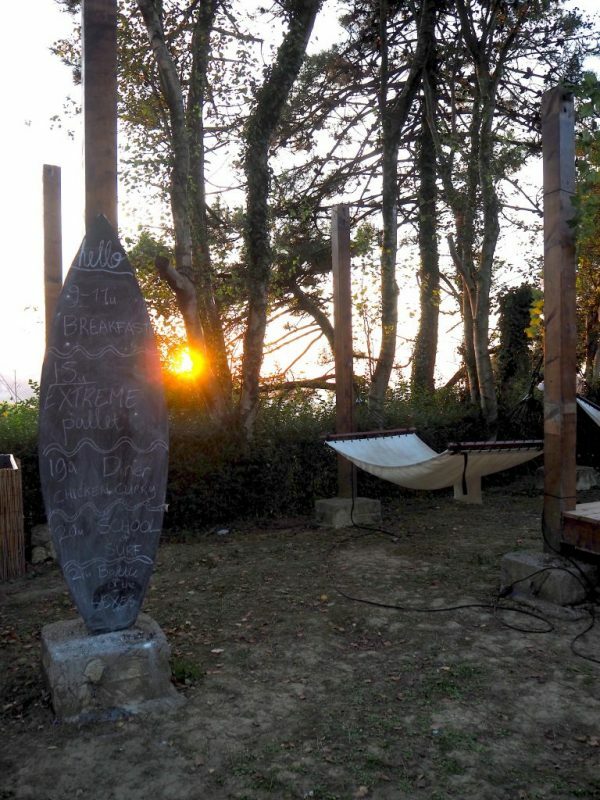 The camping area is located on top of the hill, overlooking Zarautz coastline. Waking up with this view is priceless. 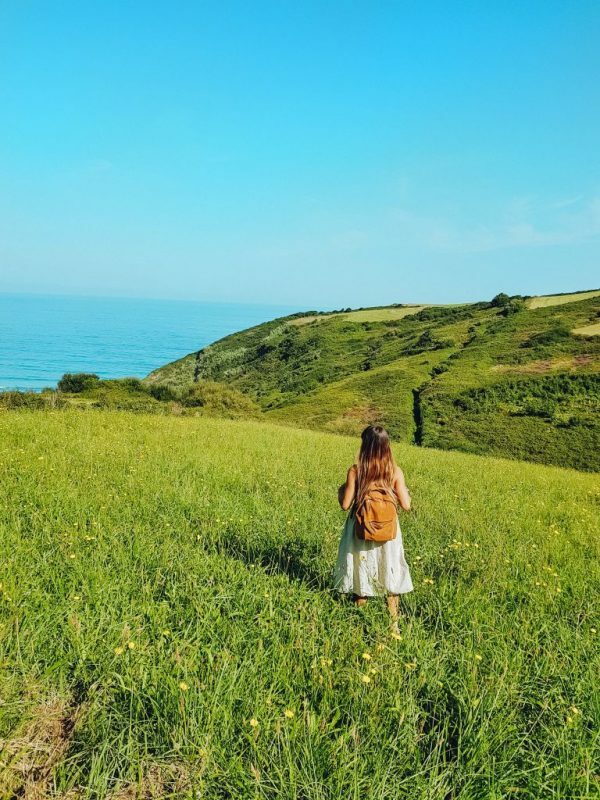 At Zarautz Surf Village you have a few accommodation options; You can sleep in a tent, a camp-inn, a tipi dorm, a deluxe tipi, or you can bring your own camper van. Being the glampackers that we are, we opted for the deluxe tipi. You’ll find all different nationalities at the camp. From Belgium to Greek, they all seem to find out about this place. When you book your stay at Zarautz Surf Village, breakfast (9 – 11) is included and the food changes everyday. There is even a champagne breakfast if you’re up for it. Don’t miss out on the BBQ or burger night, as they are pretty good! Drinks at the bar are bought with a drink card, that you can purchase for €15,- and you’ll get a plastic cup that you need to keep until you depart. Thinking about the environment! The village is not so big, but very cozy. There is a chill out area with 2 hammocks, several cushions and a skate ramp. Beer pong is played at night, and there is always room for a themed evening with fun & games. Remember, it’s a camping area, so the noise has to stop at midnight. Not ready for bed yet? No worries, Zarautz has a few bars to enjoy yourself and San Sebastian is only a 25 minute taxi ride. Most people book at least one week at the camp, but we had only 3,5 days. For this reason we only managed to take one surf lesson and one yoga class. Surf lessons are held in the morning and is perfect for beginners. As the day passes, the waves become bigger, so the afternoon is better for the more advanced. There are 2 free yoga lessons included within a basic package, and the classes are great for stretching your body before you get ready to surf. Trying to look like pro’s. Zarautz has a stunning scenery, with cliffs, green open hills and turquoise water. 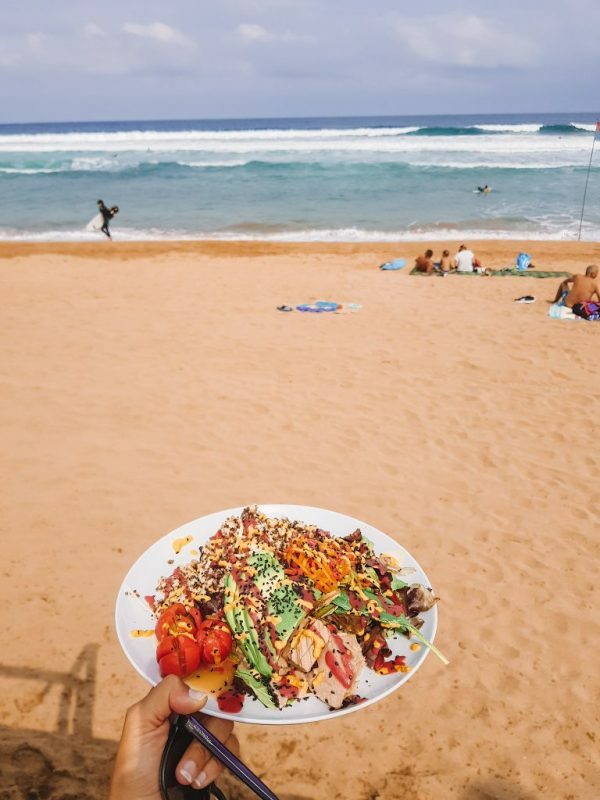 Take a morning off to walk around before heading to the beach where you can eat a healthy açai bowl at the Shelter Surf Bar. They also serve coffee, wraps, salads and a few pincho’s. Zarautz beach is quite long and you will find several café’s and eateries where you can have breakfast or lunch. Stunning backdrops. Wearing Protest Women. 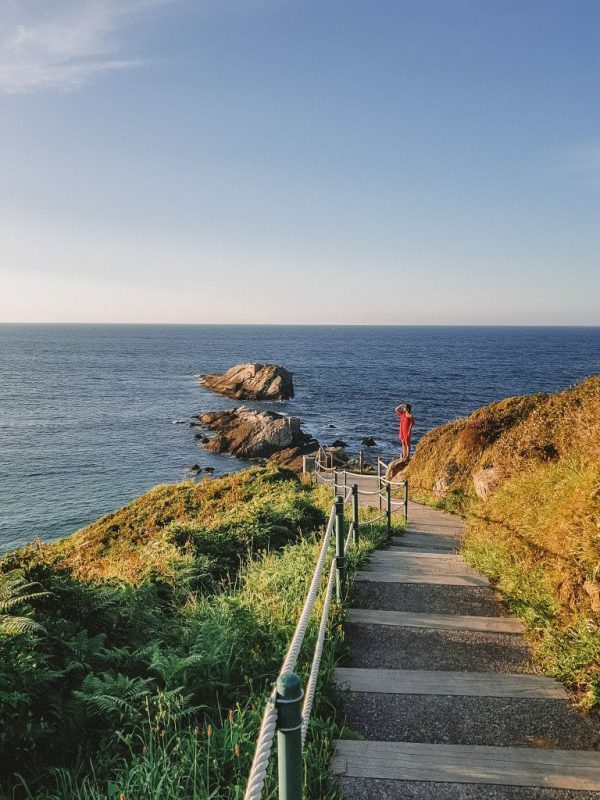 Because San Sebastian is very close by, we recommend you go here for half a day at least. It’s great for shopping, eating out, and it’s easy accesible by train, which takes only 30 minutes and costs around €2,50 per person. Ask the staff for details. 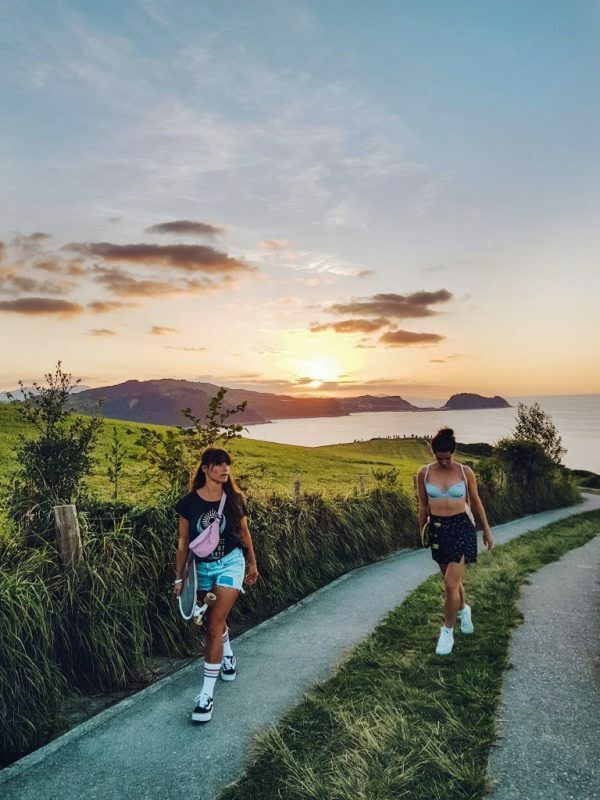 Zarautz Surf Village is open until the 3rd week of September and the new season starts in July 2019. Bookings are available from €309- which includes a full week camping (in a tent, breakfast, activities and more). 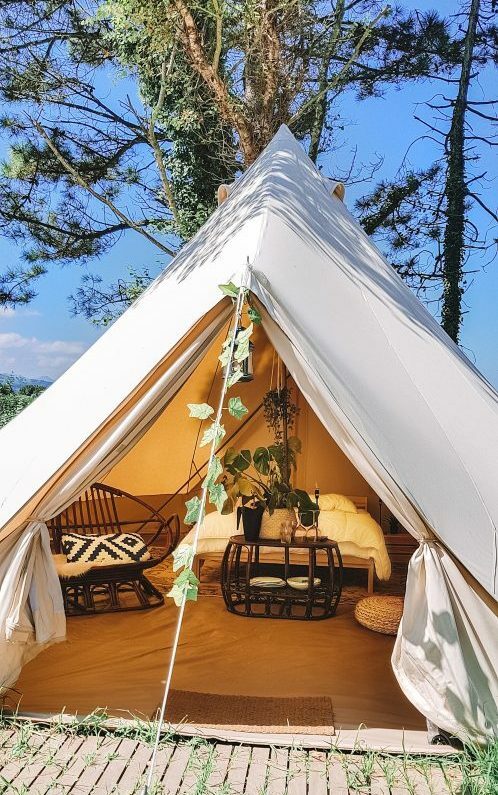 A Tipi Deluxe is available from €447,5,- per week.